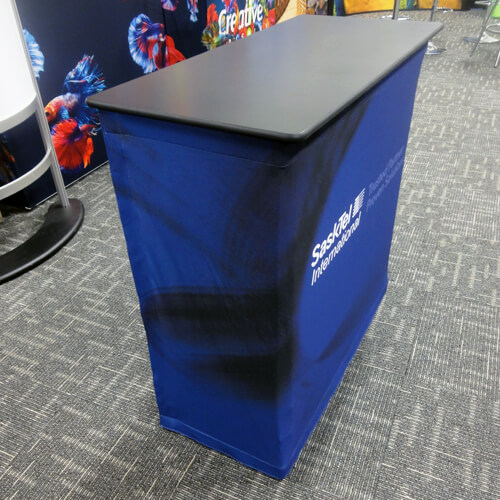 A quick & easy counter to setup. 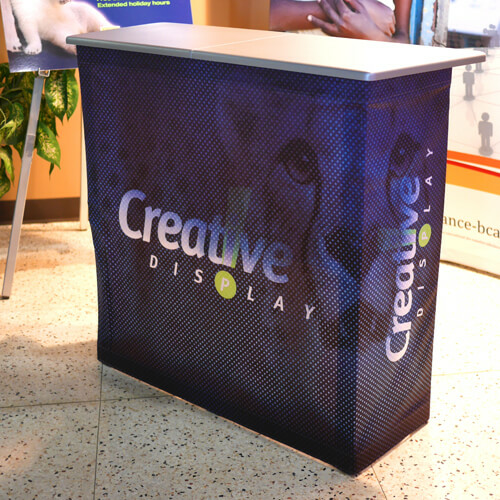 Striking fabric graphics on the front and sides with shelving in the back. 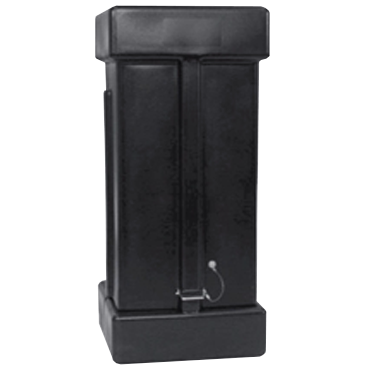 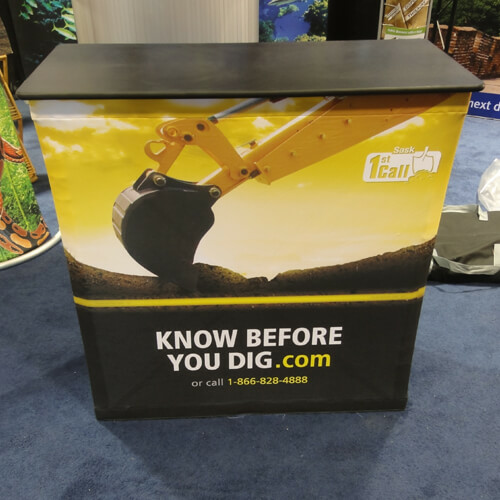 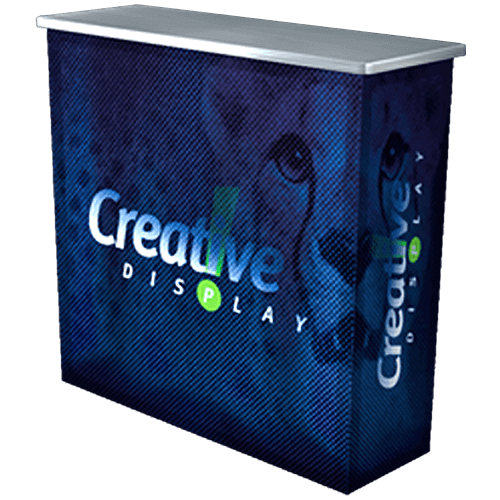 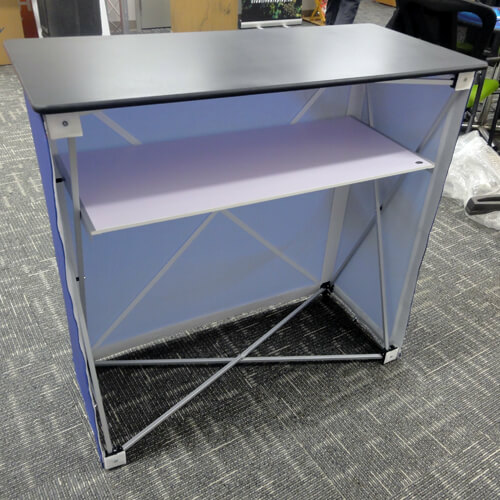 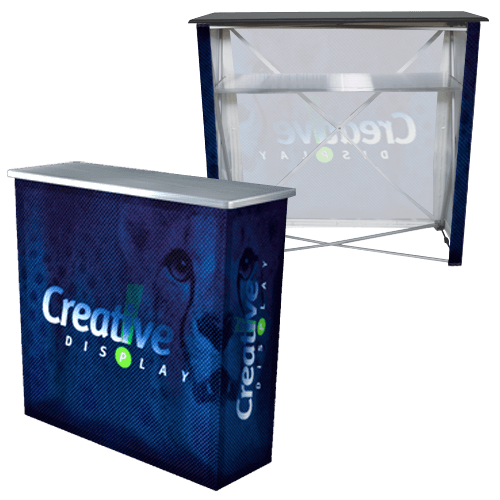 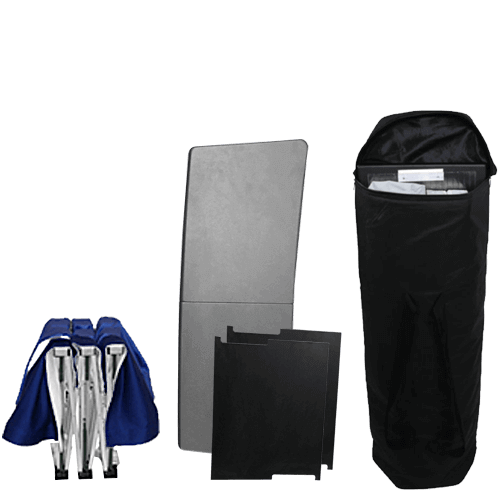 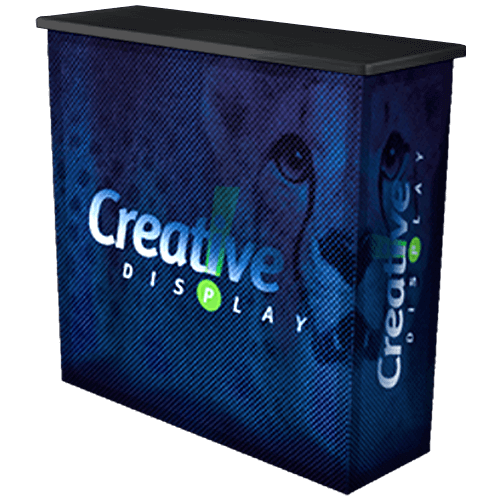 A great addition to any size trade show booth.